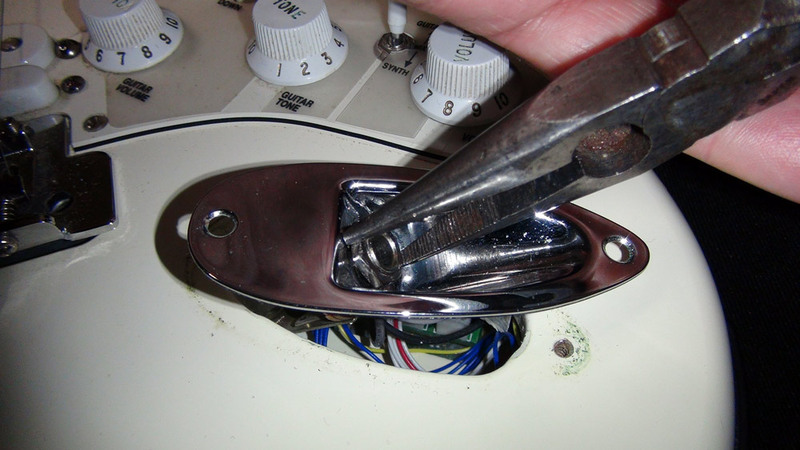 If the nut is loose you can simply tighten it with a needle nose pliers. Nuts tend to loosen over time. 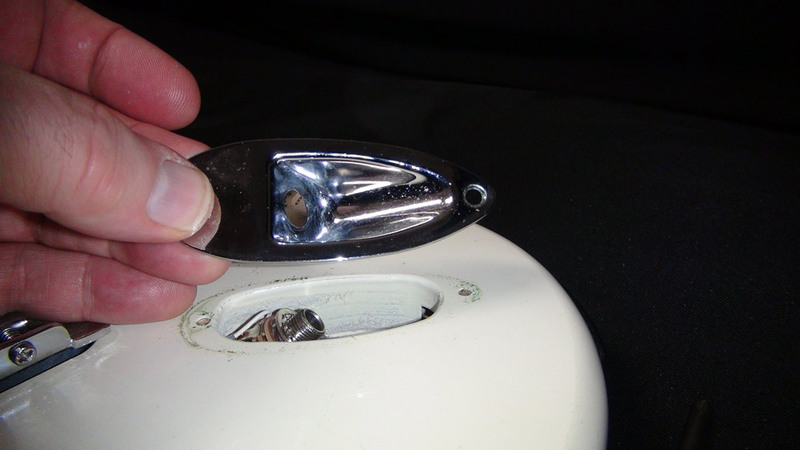 If you can't seem to tighten the nut because the jack turns inside the metal plate, you will need to remove the plate. 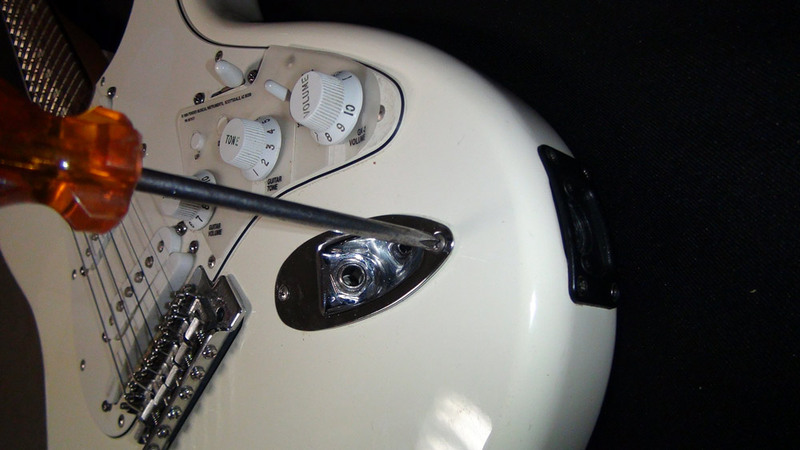 If the nut has fallen off and the jack has receded inside the guitar, you will have to remove the metal plate. 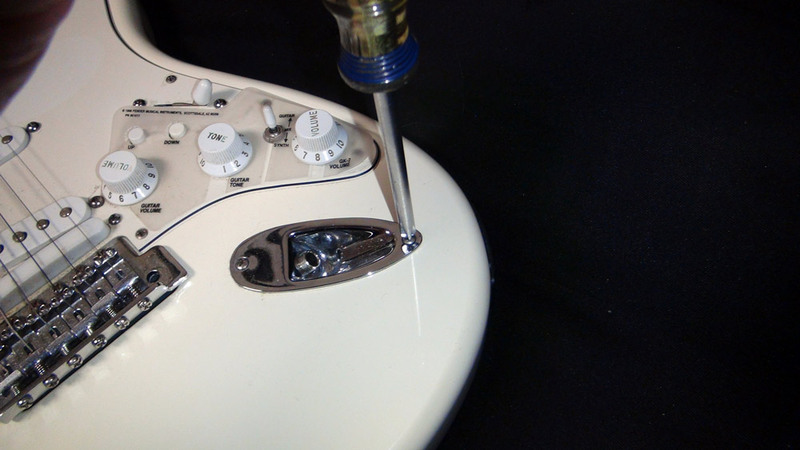 Using a screwdriver, loosen the two screws that hold the plate to the guitar. 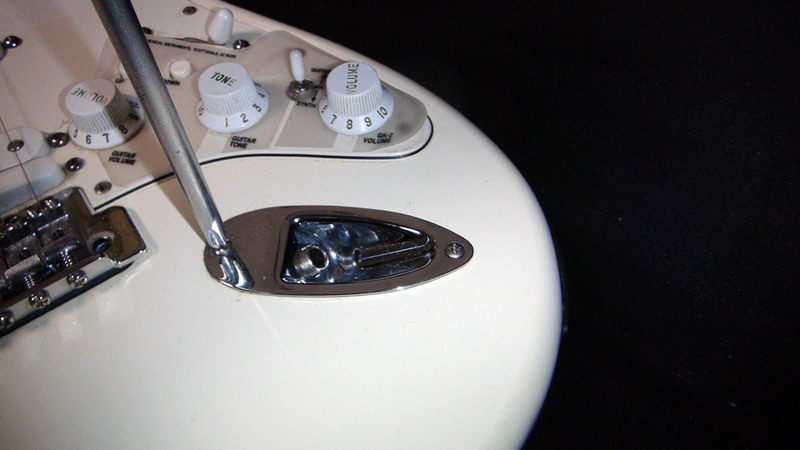 Lift the metal plate out of the guitar. 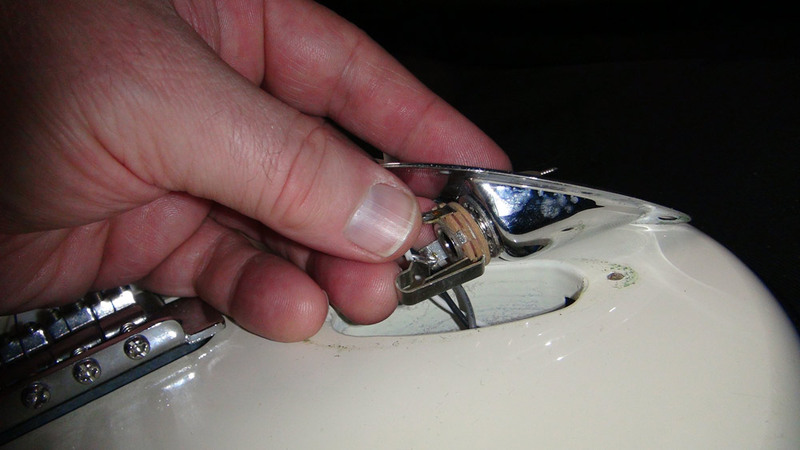 Re-attach the nut on the jack and tighten it. 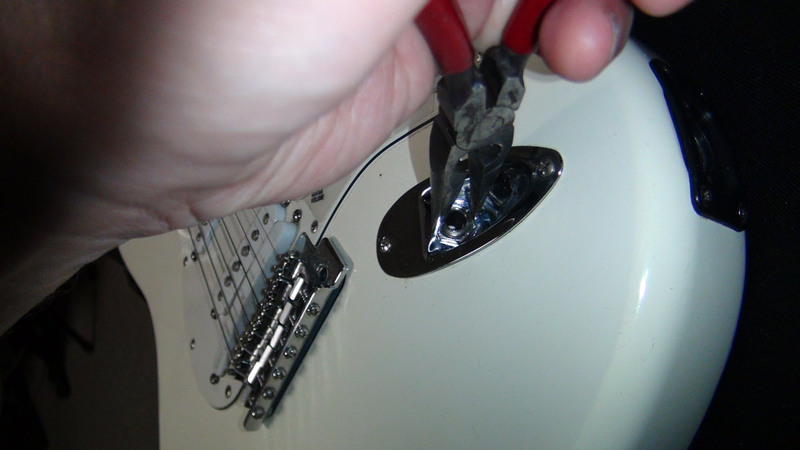 (Remember, "righty-tightey, lefty-loosey" - counterclockwise to loosen, clockwise to tighten.) 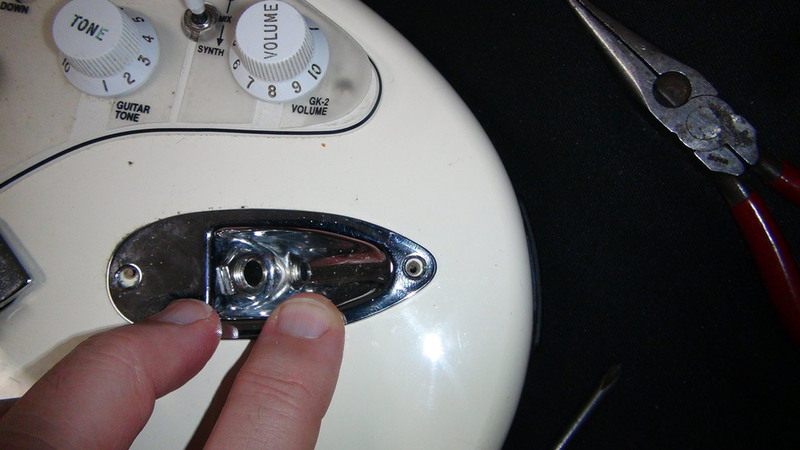 You should hold the jack steady so that the nut can be fully tightened. 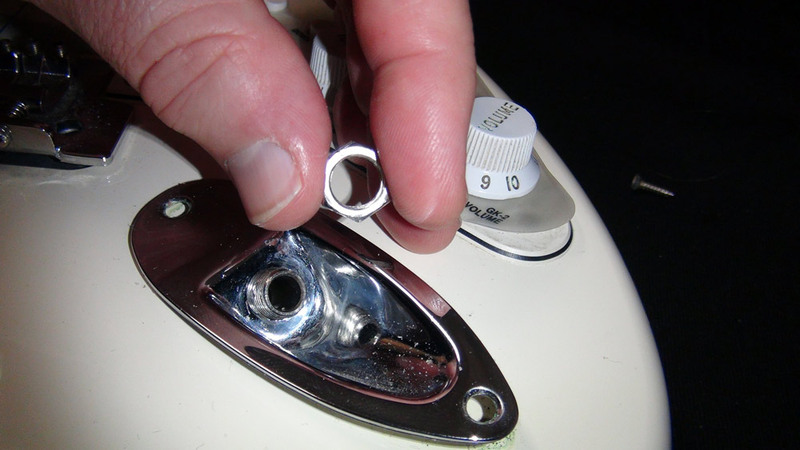 Reattach the plate to the guitar and tighten both screws till they're snug. 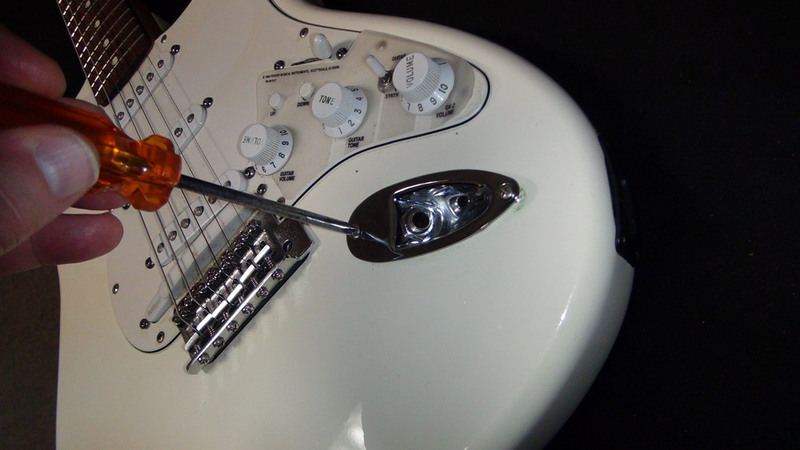 Be careful not to tighten the screws too tightly because you can strip the wood. Check the nut one last time to make sure that it is snug. Check the nut often and tighten it because it will tend to come loose over time.